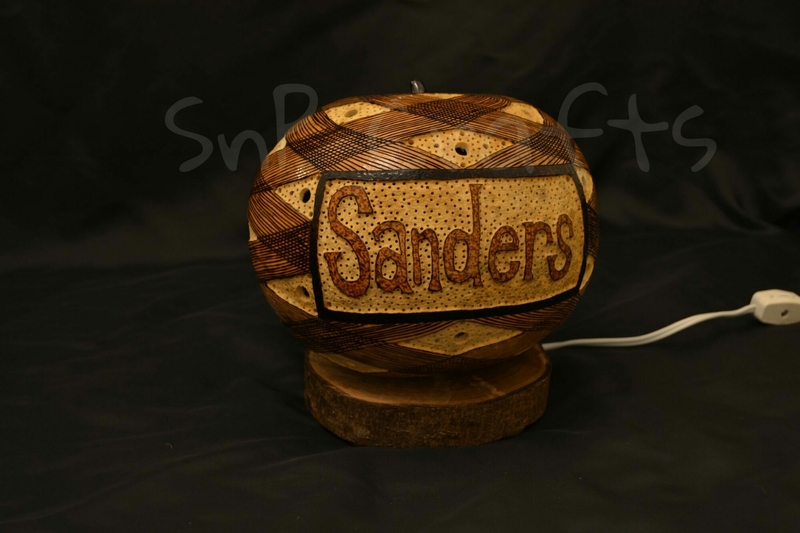 While most of my work can be custom ordered anyways, the Sanders Lamp is a good example of a custom gourd lamp with a family name, word, or whatever your mind can come up with. 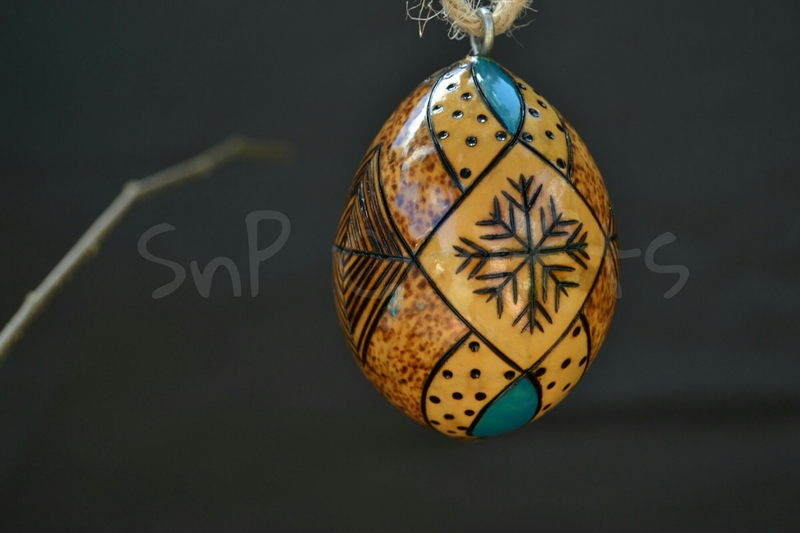 Most of the time I’ll have the center piece, accompanied by symmetrical designs encompassing the remainder of the piece, sometimes with color and sometimes without. The bases are made from recycled trees, currently I’m using a maple tree that had to be removed from my yard. 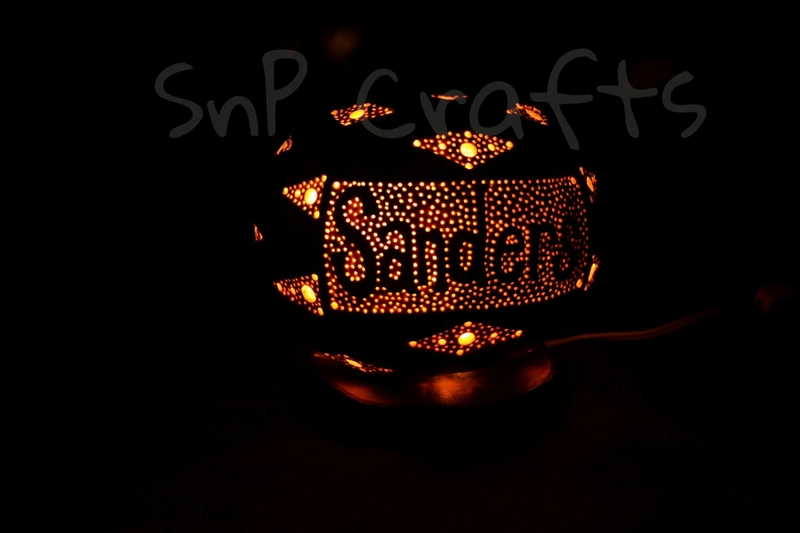 The lights are typically a candelabra base (think night light) that sits in a hole in the center of the base. 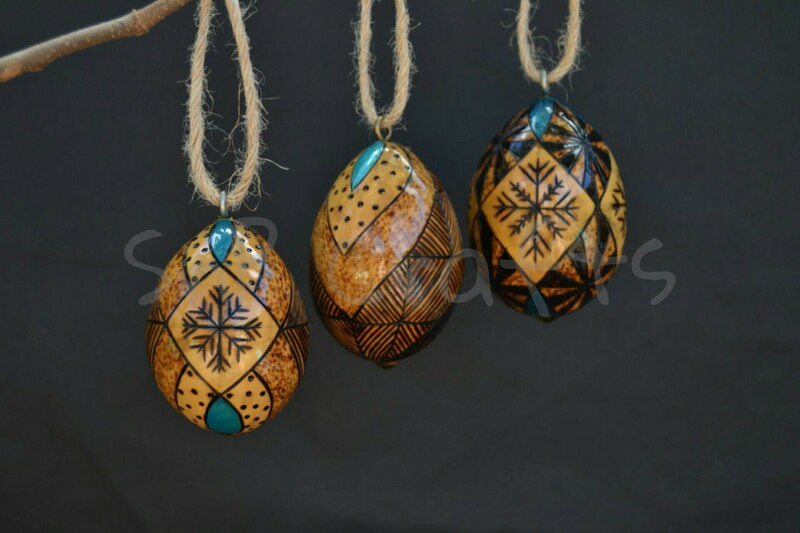 If you’d like to order one, just let me know. 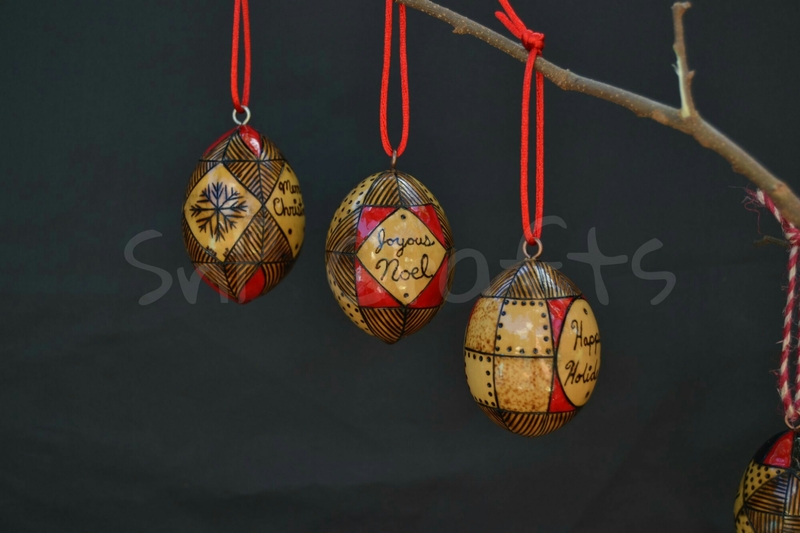 They are fully customizable and able to be personalized. Prices depend on size and amount of detail, so prices can are able to match needed budgets. 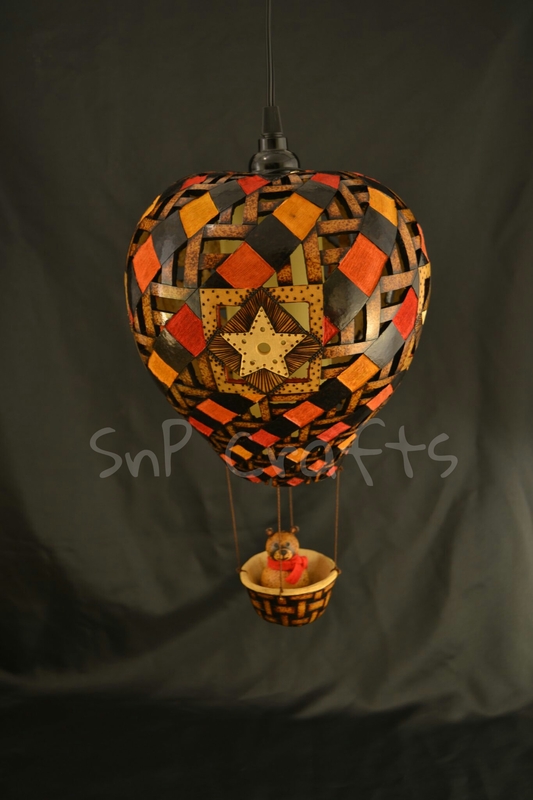 Feel free to look at pictures of previous lamps I’ve created for inspiration. Meet Red. 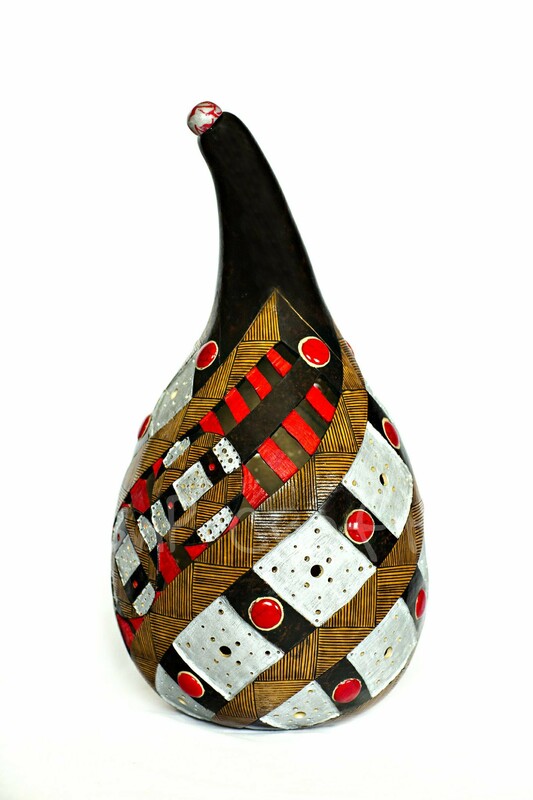 Gourd art piece featuring carved patterns colored with red and silver inks, inlaid red stones, and pyrography patterns. 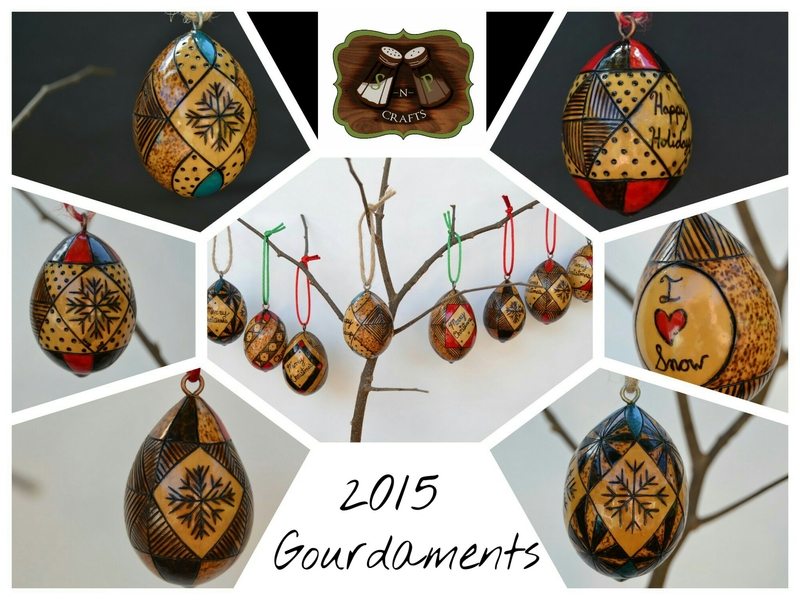 Created in March/April 2015. Photography by Cheree Federico photography. Memorial Day seems like a fitting day to share this piece. I’m so very thankful for all of those who have, and are currently making it possible for us to do the things that we enjoy, and live the lives that we choose to live. Thank you! This is Star Spangled. 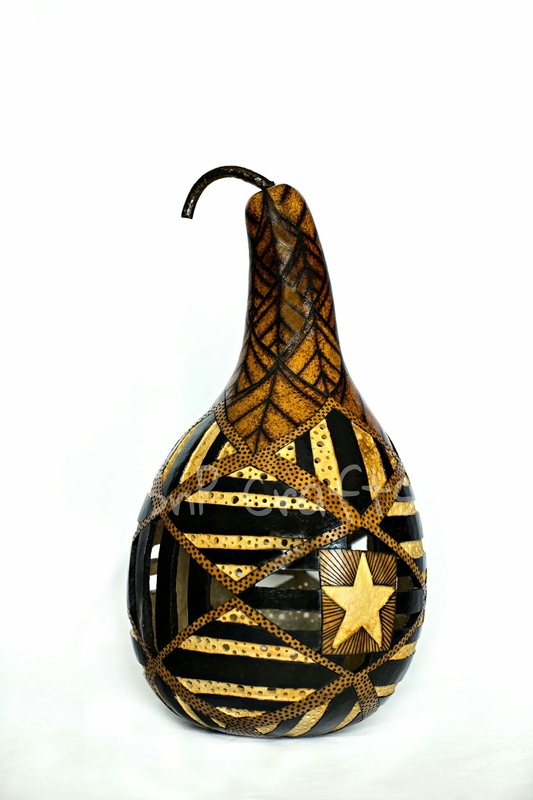 Two carved stars, with carved and cutout stripes encompassing the gourd, created with the burning art of pyrography, all under a top of leaves. 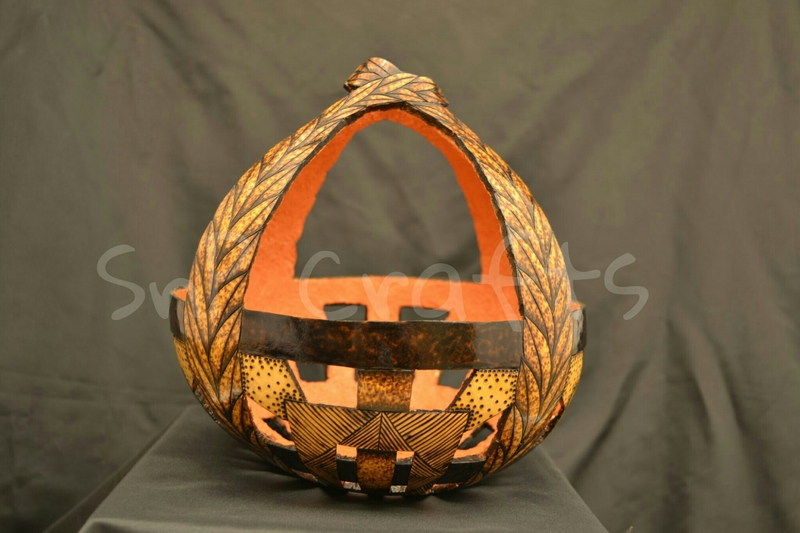 This gourd will soon be available at the Kentucky Artisan Center at Berea. Introducing Teddy’s Balloon. This piece means a lot to me, and is one of the few pieces that I will never part with. 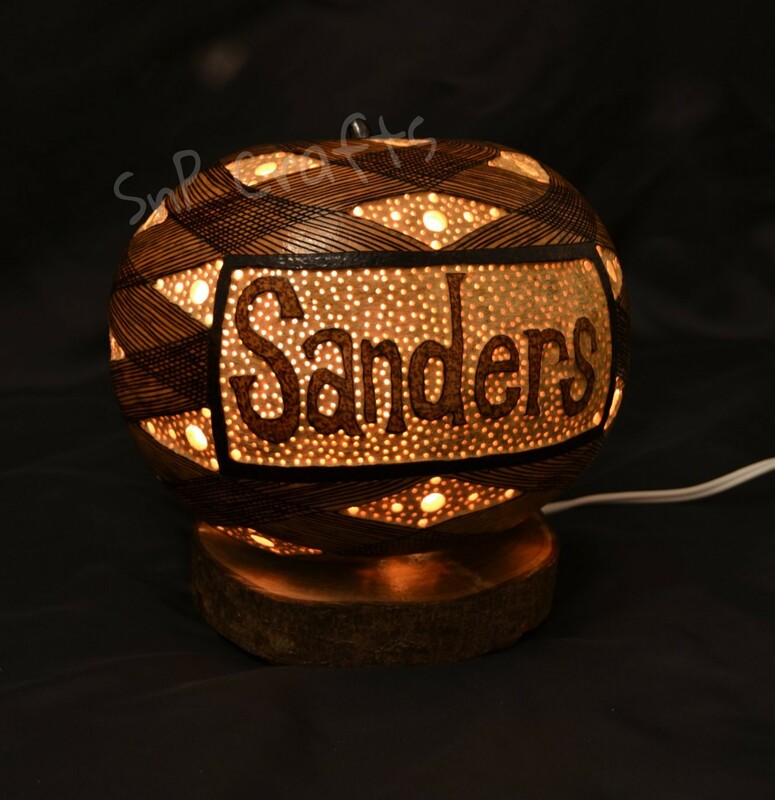 This gourd lamp is named for, and made for, a very special someone. Don’t worry, I’ll talk more about him later. This lamp will hang over a glider in his room. 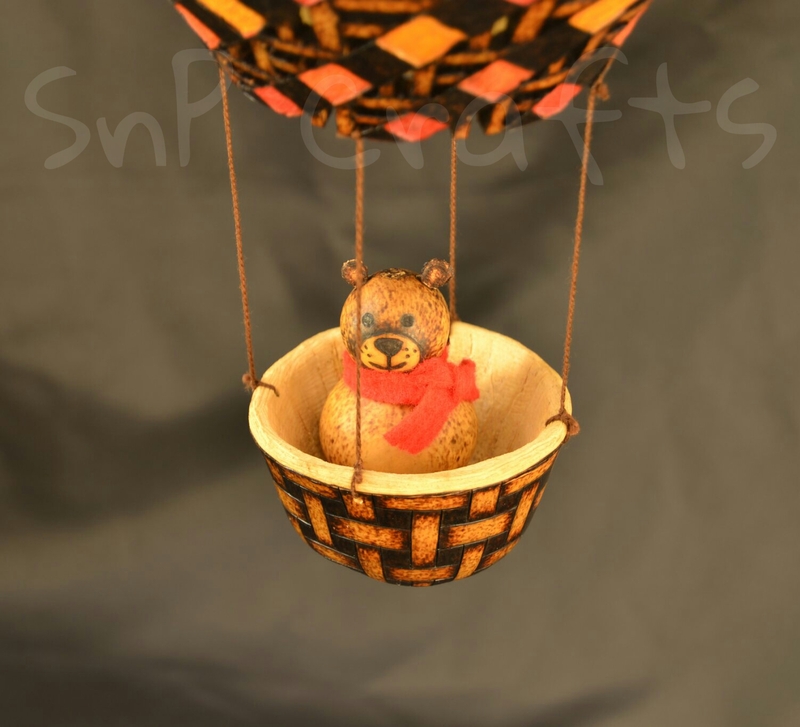 This hot air balloon inspired gourd lamp is made of two gourds, one for the balloon and basket, the other for the tiny bear riding along. 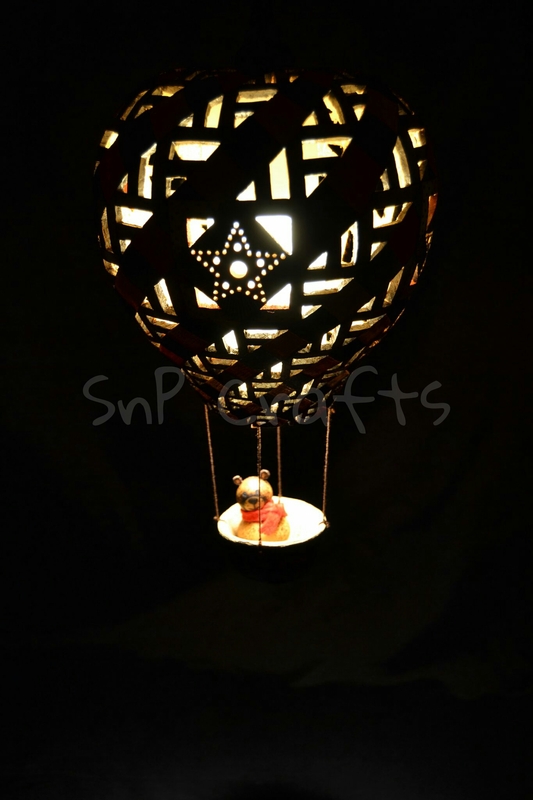 The balloon hangs, with the support of the lighting cord, which includes a standard size light bulb for beautiful night light views. While I’m still a couple of weeks away from sharing a piece that I’ve worked on for over a month and a half, I have been sharing part of it. 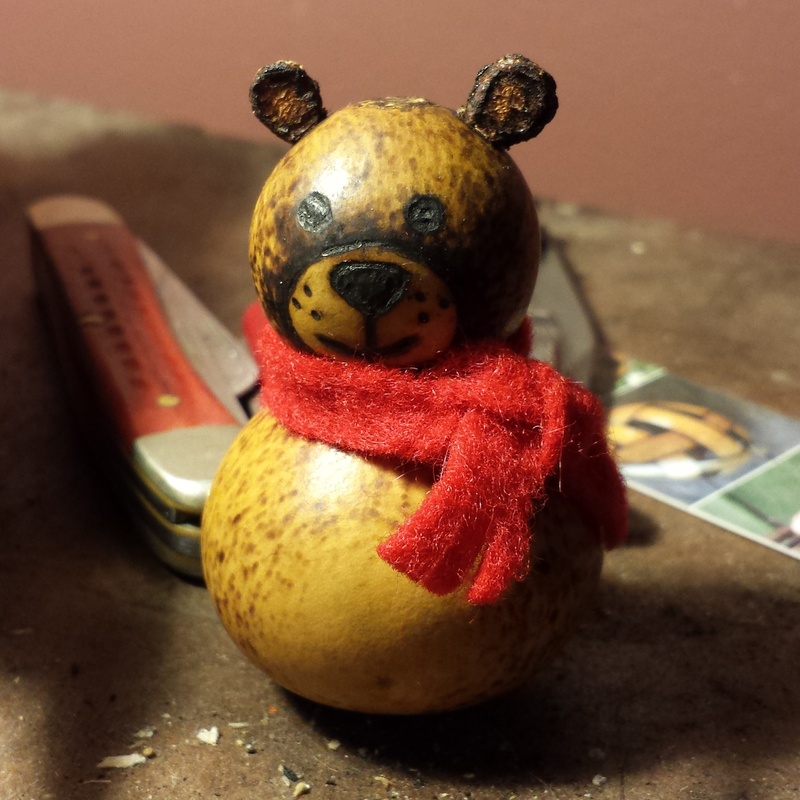 This is Tiny Bear, he will be a part of the final production. 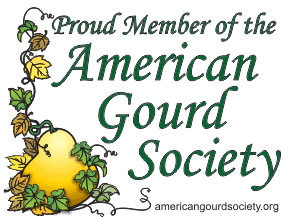 Here’s a look at the 1st gourd completed in 2015, Olive Bushel. basket to come together peacefully above it all. 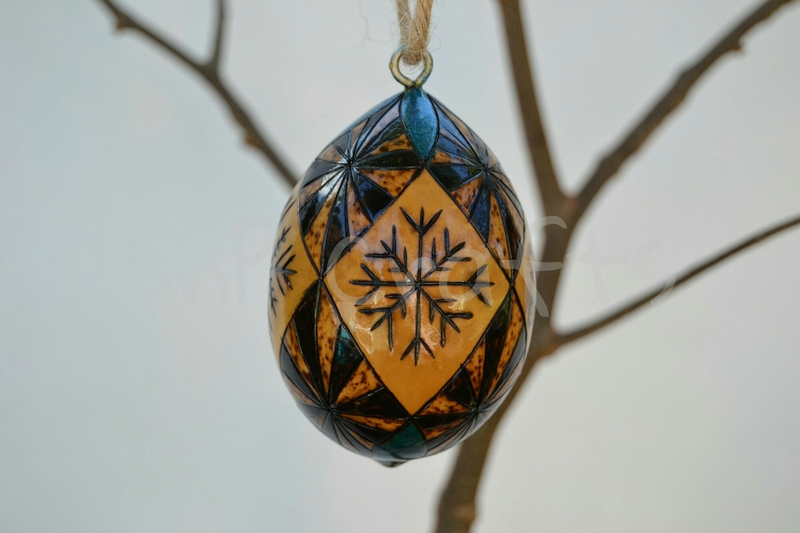 The four branches also encompass patchwork-inspired patterns created with pyrography and cut-outs.